Anyone who is considering creating a savings fund should know one of the most important principles. The wisest route to take is to clear debts before building up any savings. Why Can’t I Repay Debts and Build up Savings at the Same Time? Many people do actually make debt repayments and contribute to a savings account at the same time. One of the major disadvantages of doing this is that money is being continually wasted on interest payments. Debt interest payments will eat more in money than can be earned in interest in a savings account. Clearing interest accumulating debts first before building a savings account does make financial sense. Why Do the Banks Encourage Consumers to Save? Banks actually encourage people to spend more than they encourage them to save. But, having a savings account and debts is a win-win situation for banks and lenders. Having savings means the customer is lending the bank money at a much poorer interest rate than if the bank lends the customer money. Average annual percentage rate APR for a credit card is around 18%; while savings interest rates vary they will usually be at least around quarter of this rate. The customer who saves is giving the bank a great lending deal but this doesn’t work the other way round. So the Banks Love Customers with Debts? Banks and lenders will say the opposite but it makes sense to keep customers in debt for as long as possible. Banks and lenders love customers who only make minimum repayments as this means they are paying interest for the longest time period. Customers who make minimum repayments can spend decades paying of their credit cards. Customers who incur late and missed payment penalty fees are also seriously adding to the lender’s profits. Are There Any Debts Which Are Good? Some debts do of course make financial sense. Mortgages will usually work out less expensive than renting and are a good financial investment in general. Interest free credit is about as close to good debts as it comes. Anyone who continually manages to use interest free or extremely low APR credit can build up savings at the same time. Which Debts Should I Clear First? Any debts with high interest rates should be the first to go. Credit cards, store cards and loans should be cleared before any lower interest rate debts. For example, a student loan comes with very little interest added and this can be left until last. Prioritise debts into high interest rate debts and work down the list with the lowest interest debts left until last. Any debts that come with high penalty charges for late payments should also be cleared as soon as possible. Which Debts Should be Left Until Last to Clear? Always be wary of clearing debts early that come with penalty charges for early payment. Early repayment charges can be equal to a couple of month’s normal repayments. Debts such as higher purchase agreements that come with very little or interest free rates should also be left until last. There may also be the option available to move high interest debts onto lower or zero interest credit cards and clear these debts over a longer period. Shouldn’t I at Least Have an Emergency Savings Fund? Having an emergency savings fund is important but more money will be available if debts are cleared first. 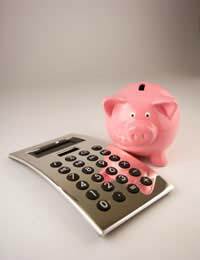 Savings are savings and it does not matter if it’s a regular savings account or an emergency savings fund. Clearing off interest accruing debts will leave more disposable income in the future, which means savings can be build up quicker when debts are cleared. Saving before debts are cleared simply means the customer is contributing to the bank’s profits. So I Should Only Create a Savings Fund When Debt Free? A savings fund should be left until a debt free status has been achieved. Unless there are some circumstances whereby the consumer has mostly all zero or very low interest debts this should be the case. It simply makes financial sense to clear off interest accruing debts and then build up a savings fund. Many people actually save money with banks from which they are heavily in debt to. This does not make any sense as the customer with savings is, in effect, borrowing their own savings and being charged interest on it.